Shirakawago is a traditional Japanese village that became a UNESCO World Heritage Site in 1995. Ogimachi, its historic center, is famous for its gassho-zukuri, a kind of wooden houses adapted to survive the harsh winters of this mountainous region. 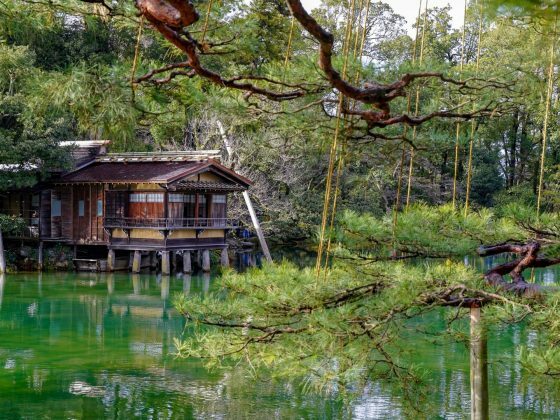 Some of these Japanese “chalets” have become ryokans, traditional japanese inns, which welcome tourists from all over the world. 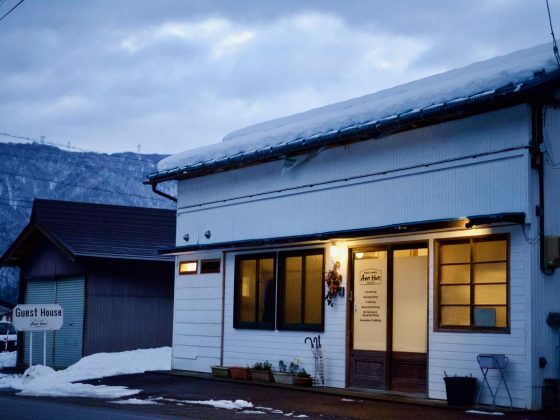 But despite its relatively small size, Shirakawago also offers other types of accommodation, including youth hostels. In order to help you plan your stay, I decided to share with you the list of hotels I recommend in Shirakawa-go. The facilities I selected offer different types of services, but they are all renowned for their hospitality. I hope this selection will save you time in setting up your itinerary in Japan. I also mention some alternatives to Shirakawa-go at the end of the article. Because this little hamlet is often a victim of its own success. Indeed, it’s impossible to find a free room throughout the village at certain times of the year. Please choose the type of hotel that best suits your tastes from the four categories below. 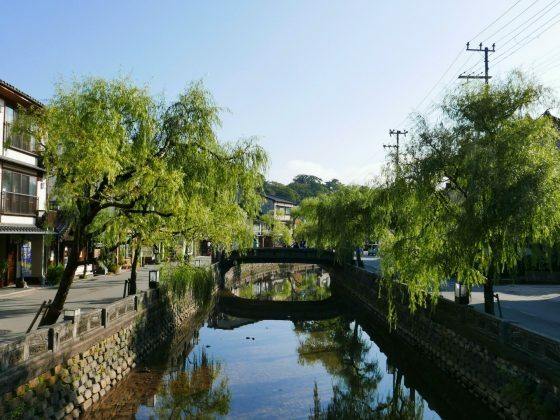 Shirakawa-go is a small village, this protected place offers no less than forty hotels ranging from the luxury hotels through traditional ryokans to the affordable youth hostels. It’s really easy to waste precious time facing so many choices. That’s why I created this map that lists all the hotels I’ll talk about in the article. Thus, you can easily see where are the best hotels in the village. 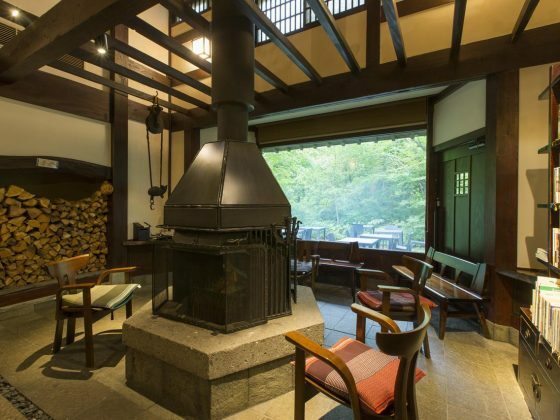 Staying in a ryokan is the best way to experience the lifestyle of the people of Shirakawa-go. Guests staying at these traditional hotels can sleep in authentic wooden rooms with futon beds and tatami mats. They can also enjoy iconic dinners and breakfasts from the northern part of Gifu Prefecture. I have selected two prestigious hotels that offer two different visions of a the Japanese rural quality of life. Shiroyamakan is surrounded by gassho-zukuris, while Fujiya is submerged by trees. If these two hotels are not in your budget, I advise you to go further down in this page to find comfortable and cheap youth hostels, or consider the option of staying overnight in another nearby city. This ryokan is located in the heart of Ogimachi. The architecture of the building respects the traditions, even if it’s not a gassho-zukuri. 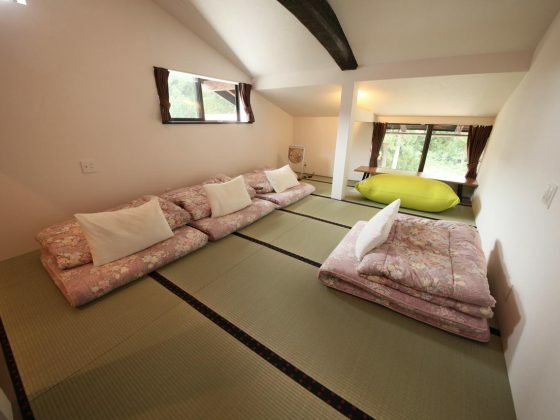 The rooms are furnished with tatami mats, but the modern comfort is still here! An outstanding facility offering an onsen in the middle of nature. 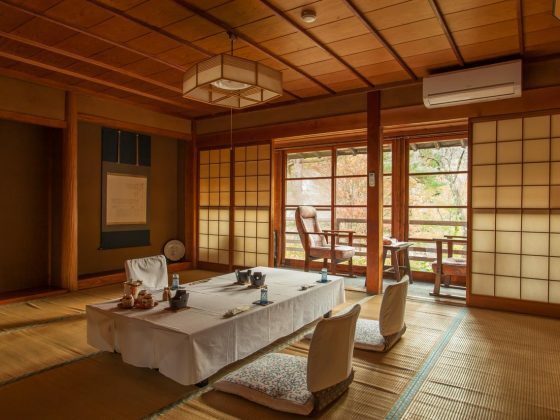 You will dine delicious Japanese food around a log fire in a private room. Prefer an onsen hotel in Ogimachi? It’s possible to swim in hot springs a few meters from the gassho-zukuri houses. If it’s an experience you definitely want to try, you can go to Shirakawago no Yu, the only facility offering an onsen in Ogimachi. This ryokan located in the heart of Shirakawa-go features both indoor and outdoor hot-spring baths. You can admire the snowy summit of Mount Hakusan while bathing. 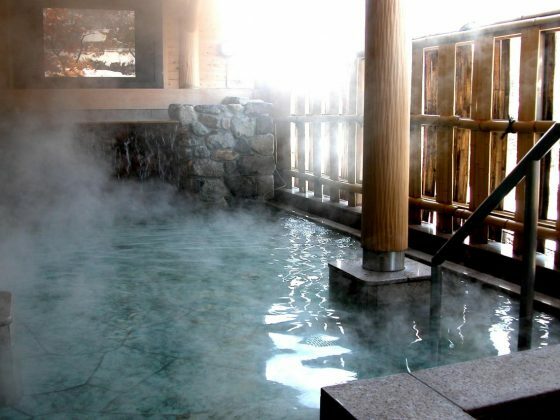 You don’t need to book a room in Shirakawago no Yu to enjoy its onsen. Indeed, it’s possible to access the baths, like hotel guests, by paying a few hundred yen at the entrance. If your budget is tight or the overnight experience at a traditional hotel doesn’t delight you, you can book a night in a youth hostel. I found two inns of this type that are not far from Ogimachi, in addition to being both very well rated. These small hostels will not allow you to discover the lifestyle of the ancient inhabitants of the region, but you can meet new people from different horizons instead. Indeed, these affordable hotels offer common areas in which you can chat with the owners or other groups of tourists. A family-run guest house where you can book rooms with up to five futons. A family hostel offering dorm beds. This facility is one of the most affordable in the village. Do you really want to spend the night in Shirakawago? As I said at the beginning of this article, it is not always easy to find a hotel that meets your criteria in Shirakawago. Indeed, Ogimachi has only a few dozen houses, which greatly reduces your choices. Also, since Shirakawago is a tourist destination, there are many more travelers who wish to stay overnight than there are rooms available. This situation increases the prices of ryokans, but also youth hostels. It’s sometimes impossible to find a single free room throughout the village. In addition, visiting Shirakawago requires only half a day. This makes it more a thoroughfare than a real stopover. The hamlet becomes very quiet after dark. It’s a good thing for travelers who want to relax and have an authentic experience in a remote area of Japan. But it’s a less interesting context for tourists who want to go out at night and meet Japanese people. 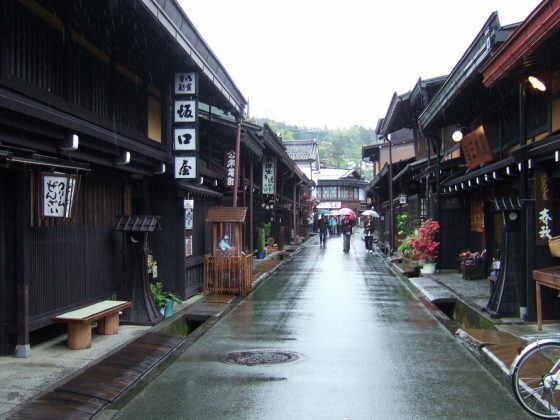 For all these reasons, it is often better to look for housing in a city near Shirakawago, rather than inside this historic village. The two best candidates are Kanazawa in Ishikawa Prefecture and Takayama in Gifu Prefecture. A town best known for Kenrokuen, its sublime Japanese garden, and traditional geisha and samurai districts. A mountainous city in Gifu prefecture. It’s best known for its traditional district of Sanmachi Suji.